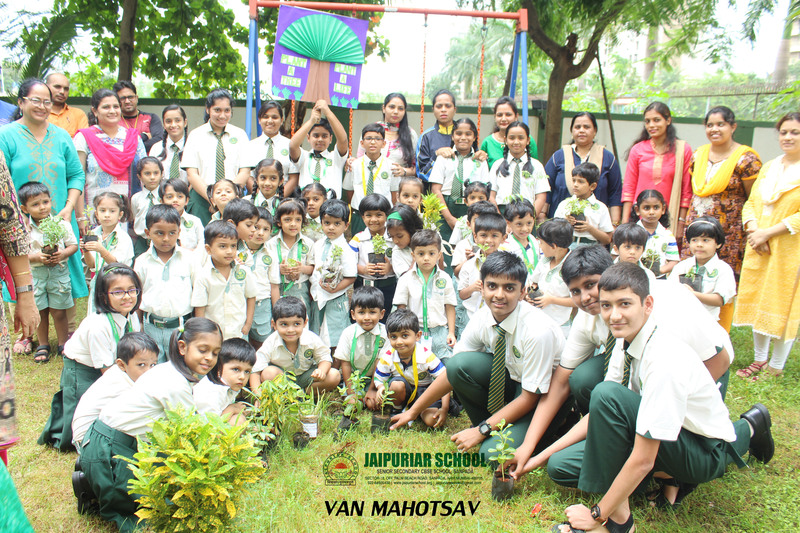 Van Mahotsava is celebrated as a carnival of life.In India, it was started as a movement to save mother earth. The title Van Mahotsava means “the festival of trees”.It began in July 1947 after a prosperous tree planting drive was initiated in Delhi, in which state leaders like Dr.Rajendra Prasad and Pandit Jawaharlal Nehru were engaged.The festival teaches the awareness of trees among people and represents the need of planting and nursing of trees, as trees are one of the best methods to limit global warming and diminish pollution.‘Trees are the kindest things we grow’. This has been rightly said as the needs of all the living beings are fulfilled by them but their depleting number has become a serious issue. 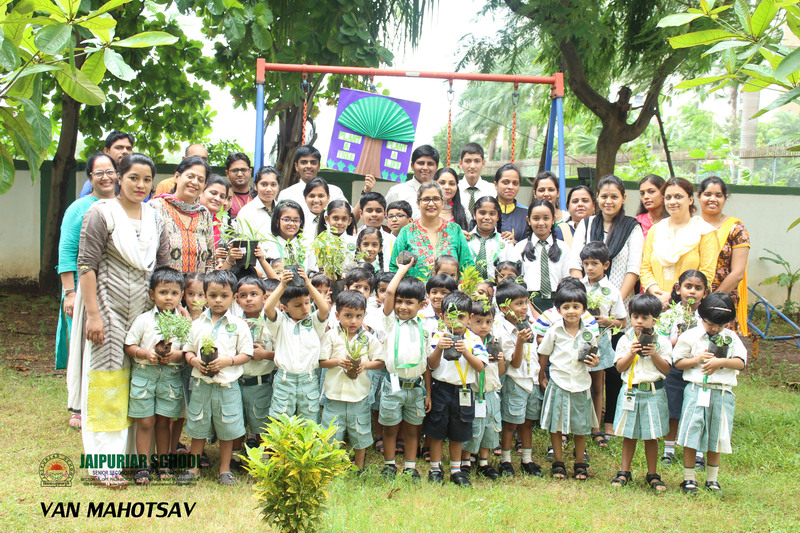 To make students aware of this issue and taking initiative towards it Jaipuriar School Sanpada celebrated the Tree Plantation week from 2nd July – 7th July in its premises.The students of Pre Primary section took initiative to bring saplings of different plants. Students of primary and secondary section conducted the Morning Assemblies and exhibited their innovations through messages ,activities and Posters. They shared the Importance of saving the Mother Earth. 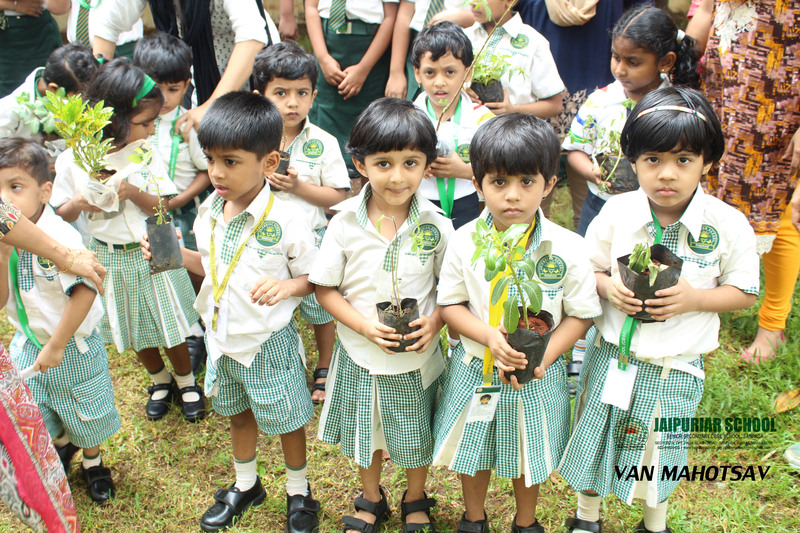 All the students from Pre primary, Primary and secondary section took part in the tree plantation programme. 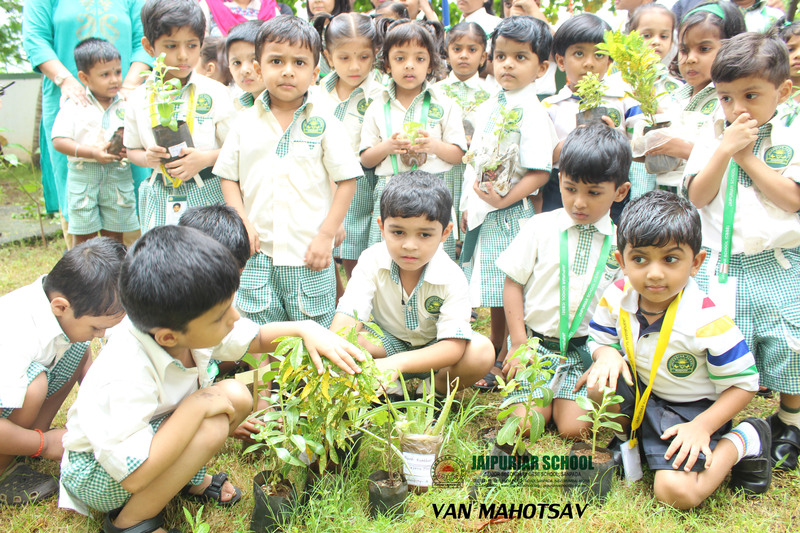 Principal addressed the students in the assembly and appealed to them to Plant trees and nurture them to save the environment for the future generation.